Custom printed tamper evident collection bags are great for evidence collection, lost or left behind valuables, or anytime you need a tough, secure, sealed bag. Labeled for chain-of-custody tracking, as well. 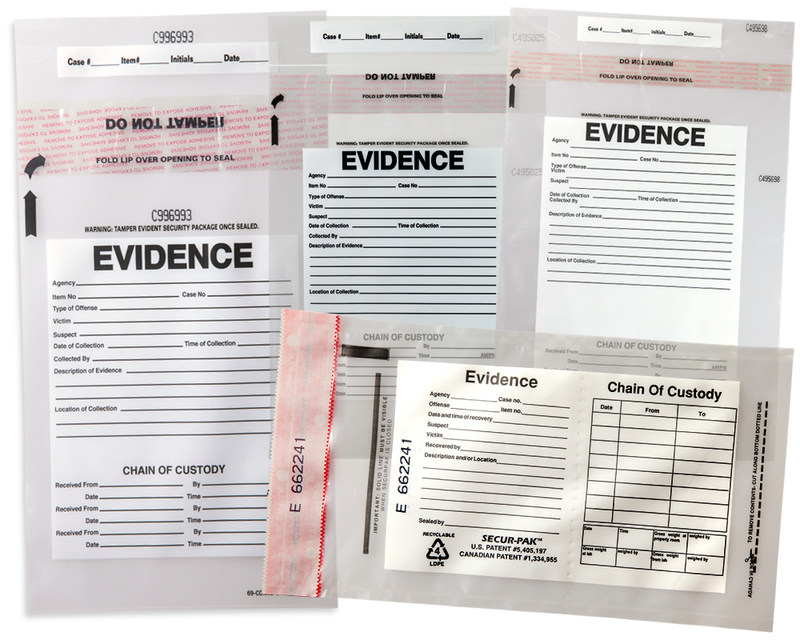 These evidence bags are not only limited to Chain of custody bags but CCTV evidence bags, Homicide evidence bags and any other type of tamper evident write on the bag that you are in need of to keep things secure and well labeled. 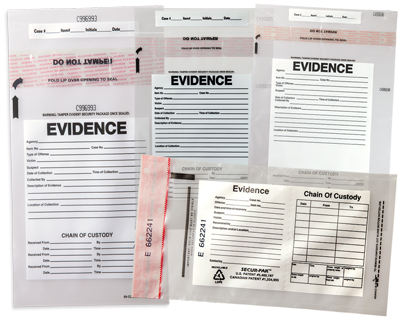 Tamper-Evident Write-On Evidence Bags have a white block area that will accept pen or marker inks.